There are a number of ways to switch things up a bit in any home. 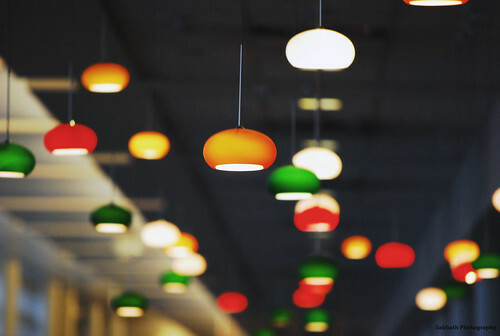 These range from quirky ideas that can add a bit of colour or design to the atmosphere all the way to upgrading certain areas of the home to increase sale value. No matter what the reason, changing and improving things in any home can help to improve your home, flat or castle’s décor! Or just do it for the fun factor experience. Don’t just buy for yourself why not buy to impress! TV stands don’t have to be boring and ordinary buy a distinctive sleek and wonderful Bondaldo design unit from Vision designed by Gino Carollo. Not only does this great buy look funky and modern but it swivels all the way round and has a stylish chrome plated steel base. The bathroom is often one of the biggest selling points when trying to design home interiors and can actually create a 168% return on investment when remodeled, greatly increasing the home’s value. Sinks don’t just come in traditional square or rounded edged, now you can have bespoke ones in all shapes and sizes and made from exotic materials. Some funky shapes include ones that look like water has splashed on tiles but is actually a basin. 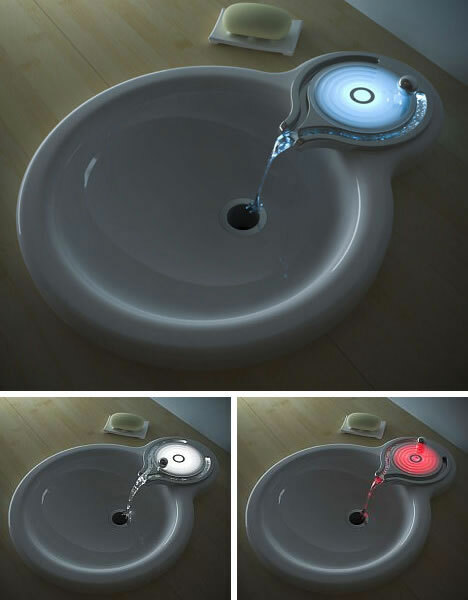 Or choose a fantastic and creative tap and basin with electromagnetic sensors by Smith Newnam and the Touch360 Studio. To help you keep a track of how hot the water is, the tap changes colour! Seems a shame almost to use such beautiful and unique pieces! Furniture can often bring any room to life and there are a number of new, contemporary original and innovative designs currently on the market that can bring a new feel to any living space. Some of these are made with comfort in mind while others are made purely for artistic appreciation. One unusual and highly colourful stacking chair the ‘Chiacchiera Trans’ by Parri, Italy, is made from transparent polycarbonate and comes in many different brightly coloured choices. There are a variety of different forms of wall art that can be used but each one can provide a new and interesting scene on any wall in the home. It could be a skyline, a graphic, or even a quote or saying. Wall art can be placed directly on the wall or could even be stenciled onto a canvas that can be easily removed. Either way, this form of art can help liven up any space in the home. Choose for example a wonderful fused glass wall art creation such as this one by Kevin Murphy. Create a stir with beautiful and contemporary glass Toobe Floor Lighting. These are created by Ferruccio Laviani for the Kartell range. You could almost mistake them for fluted glasses. These are elegant unusual and colourful additions to any home. The exotic lights are tubular in shape and have a methacrylate shell. Don’t worry it’s not your eyesight or bad DIY these are floating shelves with a difference. These create a lovely and unique arrangement option; complete with one bogus book you add the rest! These shelves are designed by Self Shelf and suit people who like the idiosyncratic and different in their homes. Books no longer need be dull. Create a feature that is practical yet stylish and up-to-date. Choose a personalised clock that suits your style and panache. Create your own design and layout with silver (other colours available) cubes that are movable. Aptly named the Karlsson Do It Yourself Cubic Clock and is by PT Design. The magnets keep them up on the backing plate. Beam up Scotty with this original and light fantastic Beam Bed. Lights create the illusion. You are sleeping or floating in space! Good ideas… we’re actually looking for wall art now. That sink is awesome! These are some really neat products. 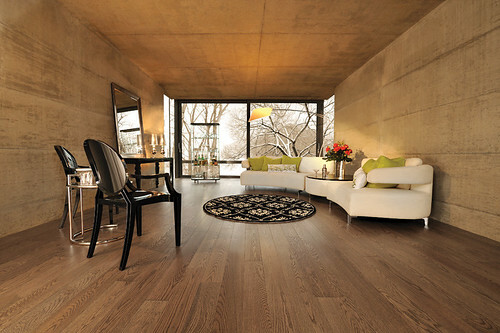 I love the design of the living room, although all the brown looks like they’re living inside a tree – which is probably the look they’re after – but I would paint it a soft warm color. Love the sink. I need to do some major renovations myself. Great post.